Cool design aside, you still have to type on it. 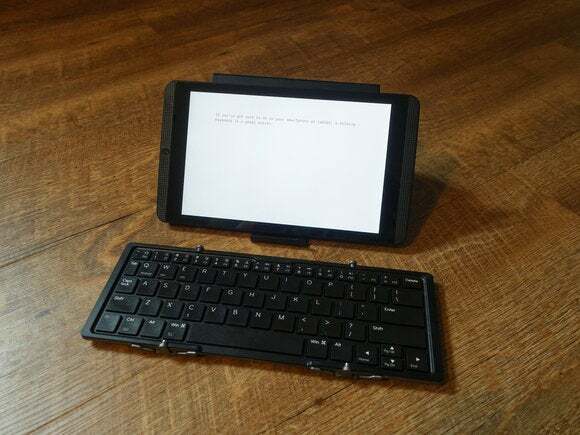 When first launched on Kickstarter, the Jorno was promoted as a compact 8.5 x 3.5 x 1.2 inch keyboard that would fold up to become as small as some smartphones. What a difference two long years of design changes, production delays, and a large number of angry backers can make. By the time it was released, the Jorno no longer resembled the product originally pitched. The final production version of the Jorno is 9.91 x 3.53 x 0.26 inches fully deployed and 5.77 x 3.53 x 0.67 inches when folded up. 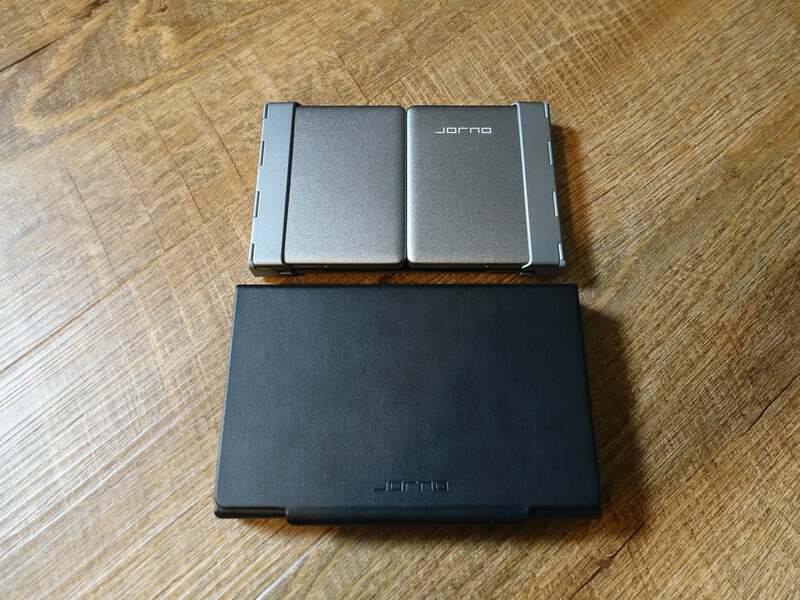 And instead of the five foldout sections that backers were initially promised, the final iteration of the Jorno comes with two hinges, making for three folding sections. Technically, it’s still small enough to stick in your pocket—if you're wearing cargo pants. The Jorno weighs 6.51 ounces, so you’ll hardly notice. It feels tough, too. The keyboard’s back plate, which protects the Jorno while it’s folded and becomes the base of the keyboard when unfolded, is made of matte silver-grey aluminum. Plastic covers protect the keyboard’s hinges and raise the keyboard slightly. 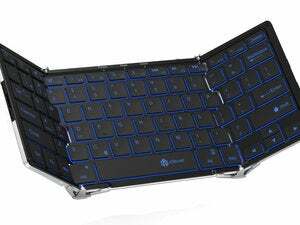 They also have small rubber pads built into them, so, when you’re typing, the slick plastic and metal won’t scoot around on your desk. It’s a nice touch. Speaking of nice touches, the Jorno comes with a semi-rigid faux leather case. When protecting the Jorno, the case is held closed by magnets. 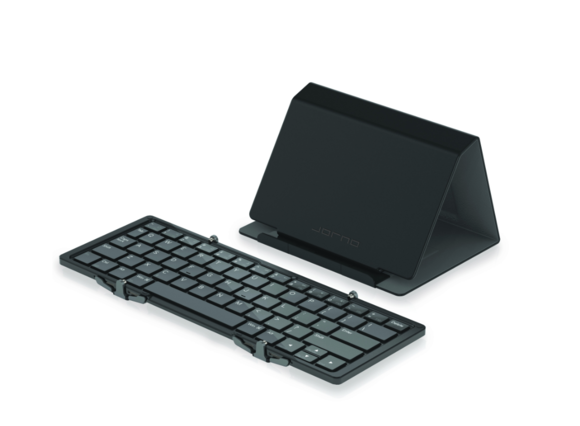 Once the keyboard is deployed, those same magnets allow the case to be folded into a stand for your tablet or smartphone. I was surprised to find that the stand was sturdy enough to support the weight of my 9.7-inch iPad Pro. Better still, the stand also allows for a few different viewing angles. The Journo doesn’t have a power button. 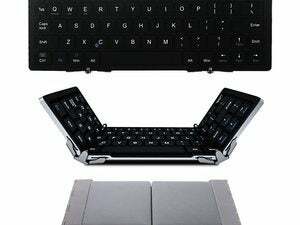 To turn the keyboard on, unfold it and you’re in business. A green flashing light at the top of the keyboard provides battery status. The Jorno’s website claims that the keyboard can be used for 85 hours of continuous work or 220 days of standby power. When the time comes to charge it, the keyboard uses a standard micro-USB cable. Pairing the keyboard is straightforward: Pressing the device’s Function key and C key simultaneously renders the Jorno discoverable. My Surface 3, 9.7-inch iPad Pro, Nvidia Shield K1 and iPhone 6 all paired easily. If your device is HID-compatible, you’ll likely have the same pairing experience that I did. Typing on the Jorno, though, is where things go awty. The Jorno does have its strengths: The speed it allows me is far superior to what I’d get from using a smartphone or tablet’s onscreen keyboard. Its United States English QWERTY keyboard layout is familiar enough. And its satisfyingly clicky keys provide around the same amount of travel as my favorite wireless keyboard, Logitech’s K811 EasySwitch. The big problem with working on the Jorno comes from the size of its keys and the space between them. The Jorno’s keys are about 9 percent smaller than the ones on my 2015 Retina MacBook Pro. That can be a world of difference if you’re a touch typist, especially when those small keys are jammed together as closely as they are on the Jorno. I found myself accidentally hitting the Caps Lock and Tab keys on a regular basis, even after days of constant use. The Delete key (a dear friend of mine) is far smaller than the backslash key, directly below it. These sound like small problems, but if you spend your day typing, the amount of time spent correcting the Jorno’s results can become a huge, frustrating issue. If bought through Jorno’s online store, the keyboard will set you back $100. But it can be found for around $40 on Amazon. Why the huge difference in price? I suspect it’s to combat the massive amount of cash that the Jorno’s manufacturer must be losing to the multiple companies selling nearly identical keyboards at significantly lower prices. And some of those do perform as well, if not better. The Jorno is compact and is easy to carry around, but its size prevents it from being a winner.